I am pleased to announce YET ANOTHER class at Clever Knits to start in August. 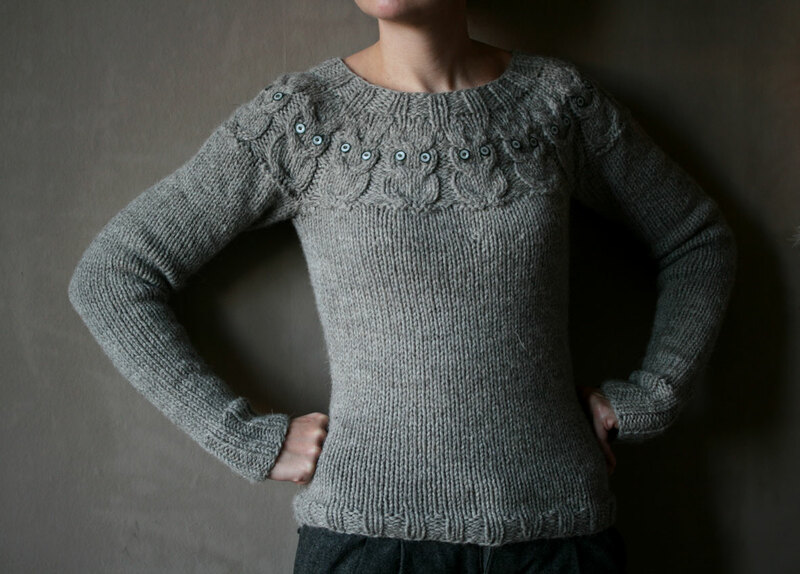 This time, the OWLS Sweater (Ravelry link), by Kate Davies, will be taught by Anna. This class is targeted at an advanced beginner/intermediate knitter, and would make a good first sweater project for someone comfortable with the basics (knit/purl, ribbing, increases, decreases, circular knitting, DPNs, etc). Experience with cables is not necessary, but is helpful. Knit on big needles and bulky yarn, the OWLS sweater is a fast knit with simple construction and minimal seaming through circular needles. This pattern reduces bulk through the fit of the sweater and has several large, tall, owl cables standing proudly on the yoke. Pattern must be downloaded from Ravelry. Sweater will be knitted over the course of the 6 weeks, homework must be done before class. Schedule: The OWLS Class will be held on six consecutive Wednesdays from 5:30-7:30pm, starting August 19th (subject to change due to the needs of the class). Limit: 7 students, advance registration is required (classes will be canceled and all fees refunded if we do not have at least 4 students signed up). Materials: Note that each student MUST download the free pattern and bring it with them to class. Anna has obtained the author's permission to use her pattern for the class, with the stipulation that each student print her own copy.